The Anytec 1221 SPD attracts attention everywhere you go. Twelve metres long. Four engines. 1600 horsepower. 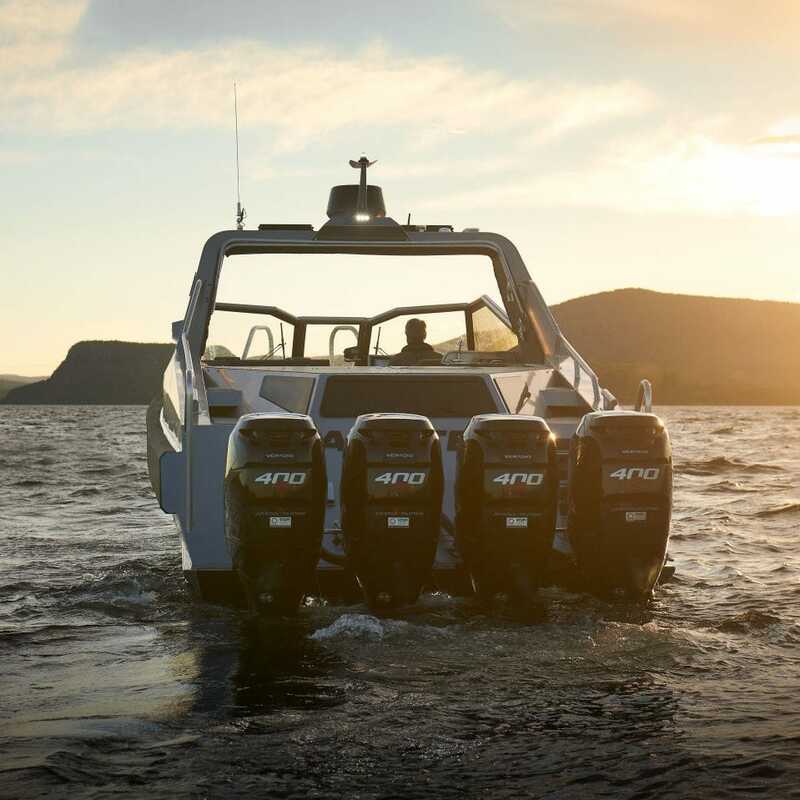 All these elements interact to give you the power, the commanding presence, the no-compromise design required to provide world-class experiences. Our goal with the Anytec 1221 SPD was never to create a thoroughbred racer where squeezing out that last knot was a difficult and demanding task. 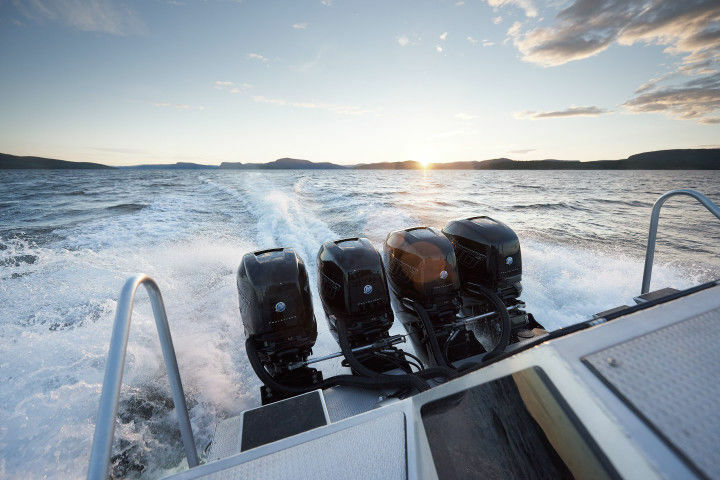 This boat was designed to handle 4 x 400 hp and speeds of up to 70 knots – while also feeling secure and easy to sail right the way through its speed range. 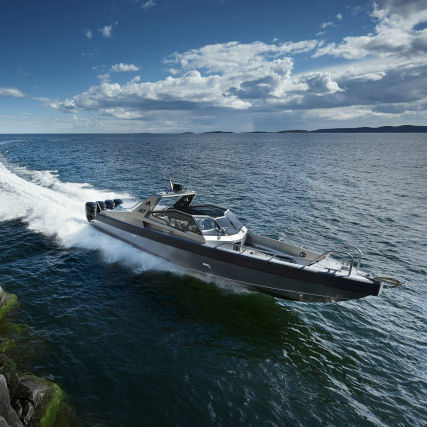 This boat is designed for harsh conditions at sea and can travel at high speeds even in rough waters.